Jen & Joey were married last weekend. 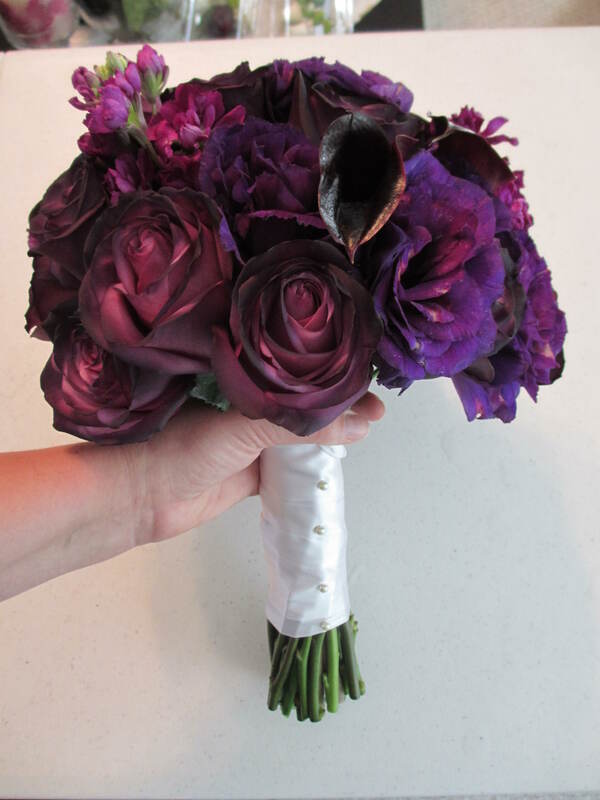 Her colors were Purple & Silver and the flowers were a lovely complement to the the bridesmaid’s purple dresses. Enjoy! 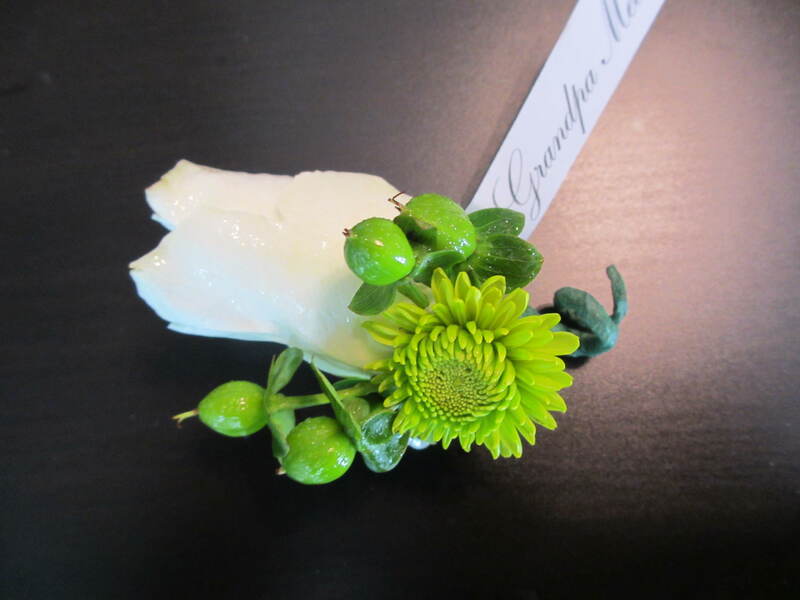 Groom’s Boutonniere – One of my favorite boutonnieres! 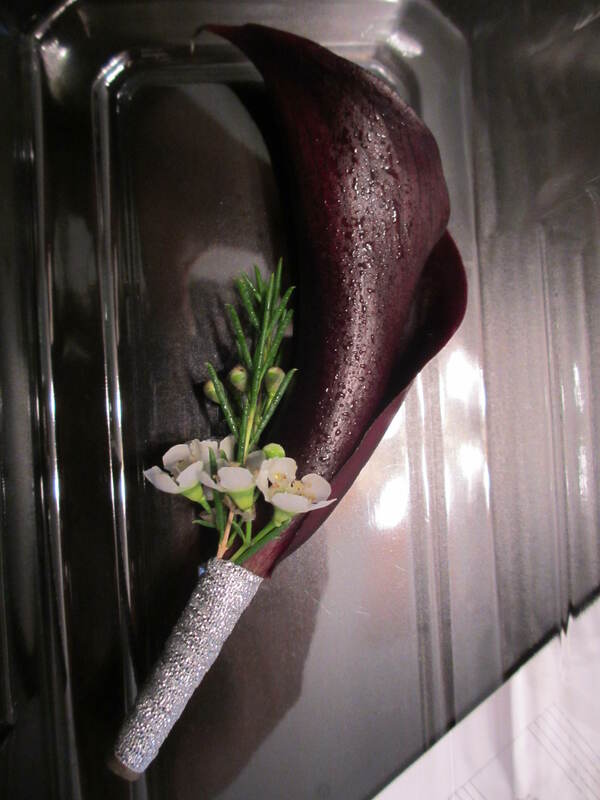 Eggplant mini calla, white wax flower, and silver ribbon. Simple but elegant! 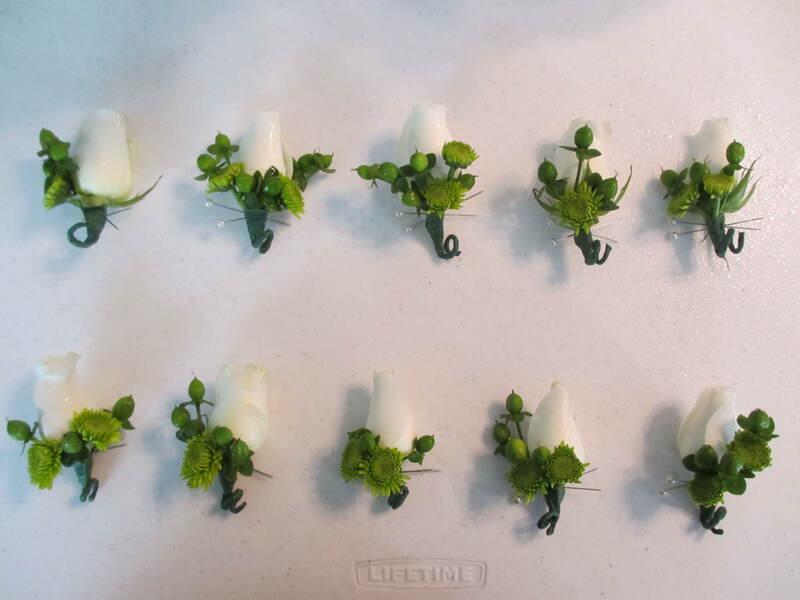 Close-up of boutonniere. 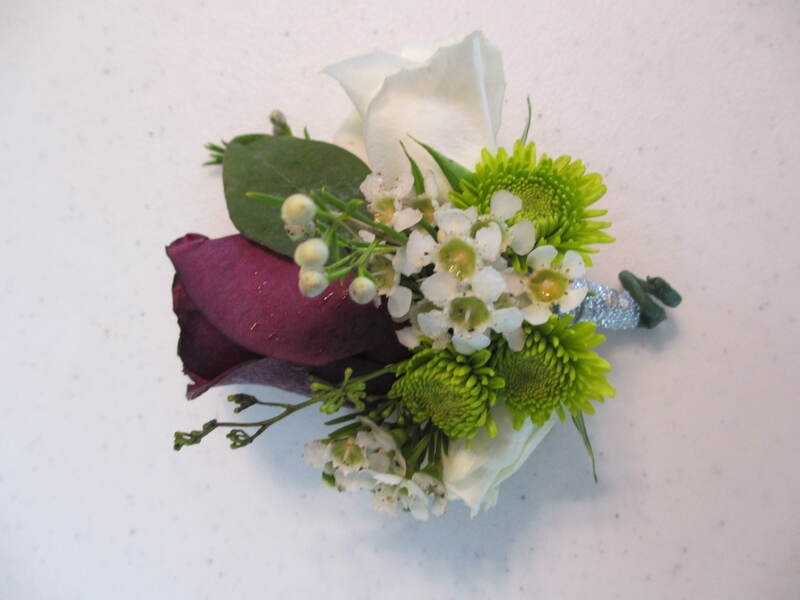 Rose, hypericum berries, and a button mum. 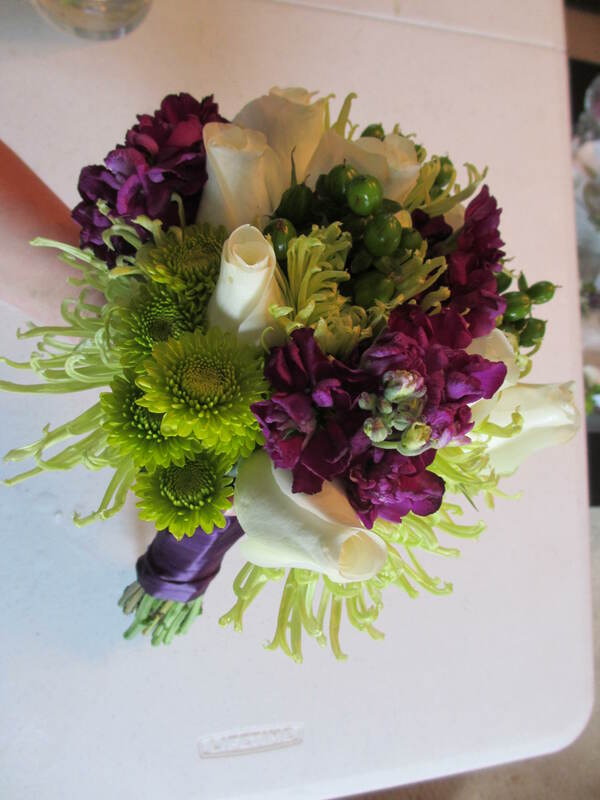 Bridesmaid Bouquet – Top view. Mix of mums, stock, berries, and roses. 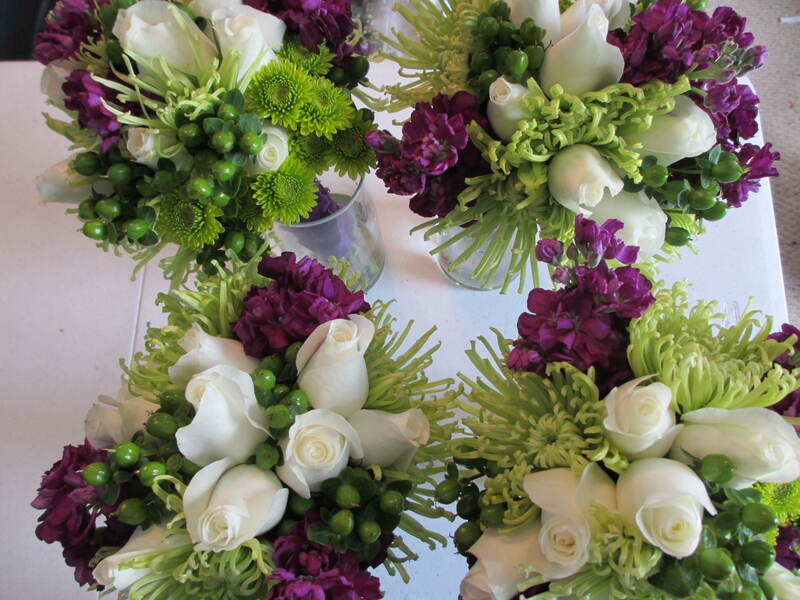 Maid’s Bouquets. I LOVE these flowers!!! 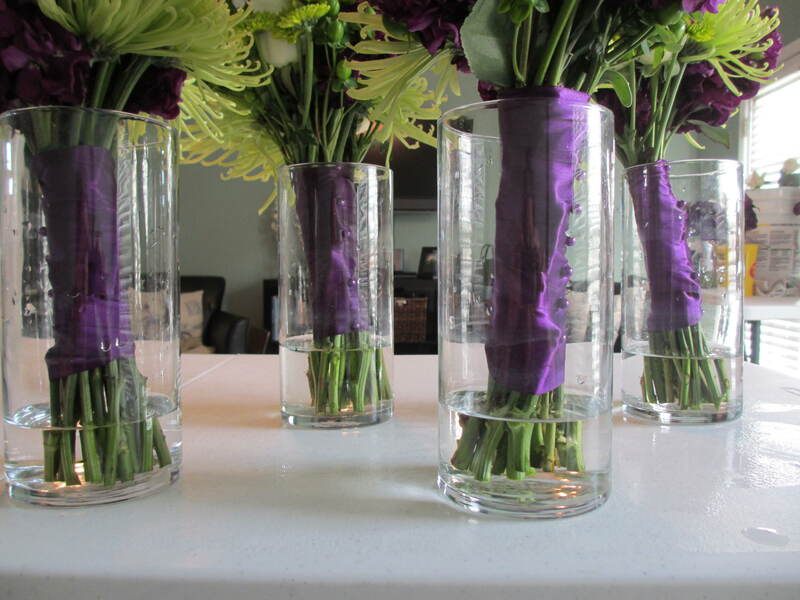 Finishing Touches – It’s the little things in life… What’s not to love about silky purple ribbon and green scrumptious flowers?! Delivery Time!! 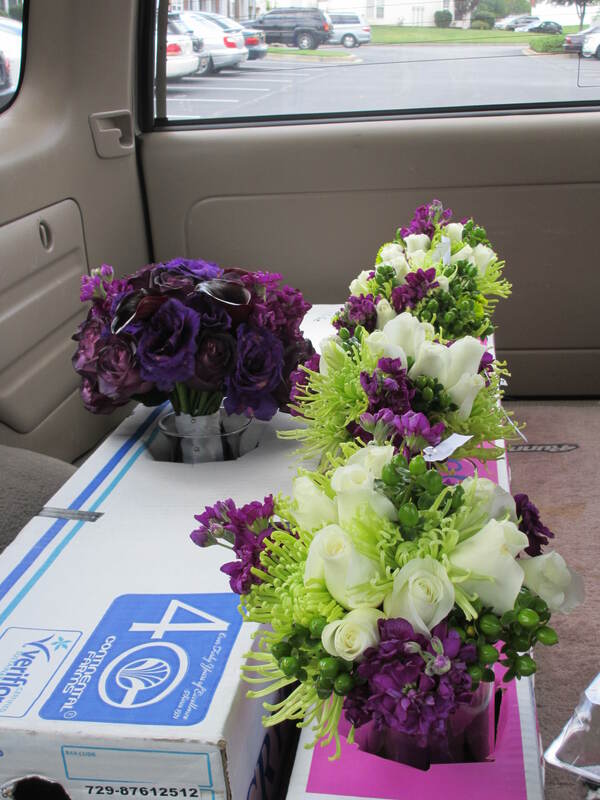 Flowers all loaded up and ready to be delivered! It’s so rewarding to look in the back of my vehicle and see hours of work lined up like this!! Makes my heart sing!! 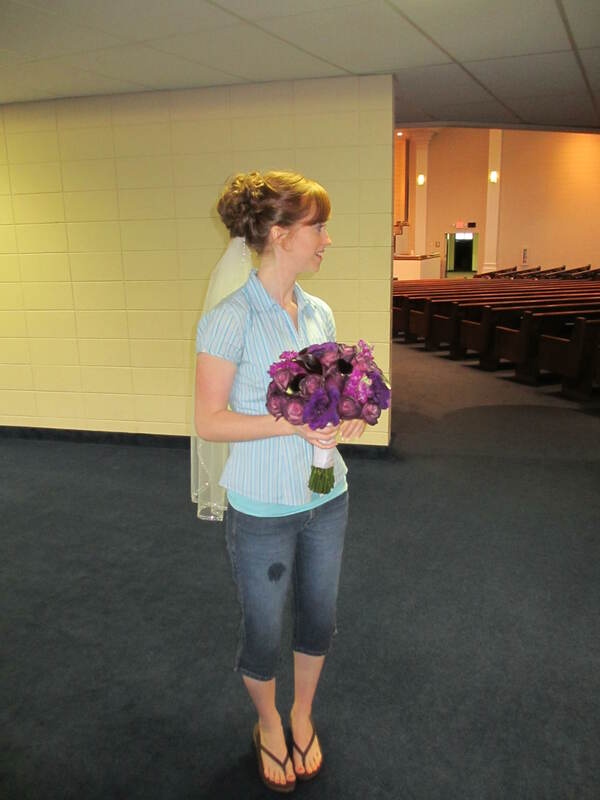 The Bride seeing her bouquet for the first time!